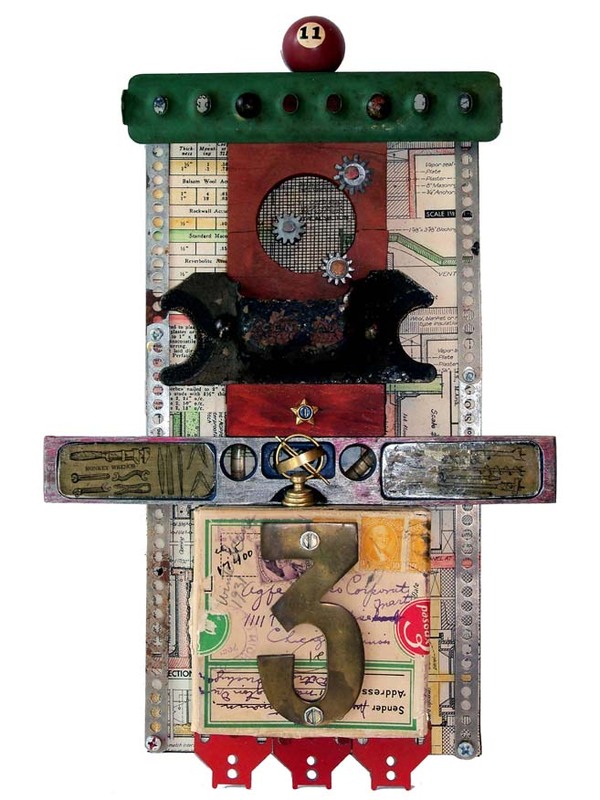 This exhibition includes mixed media collage and 3-D assemblage. 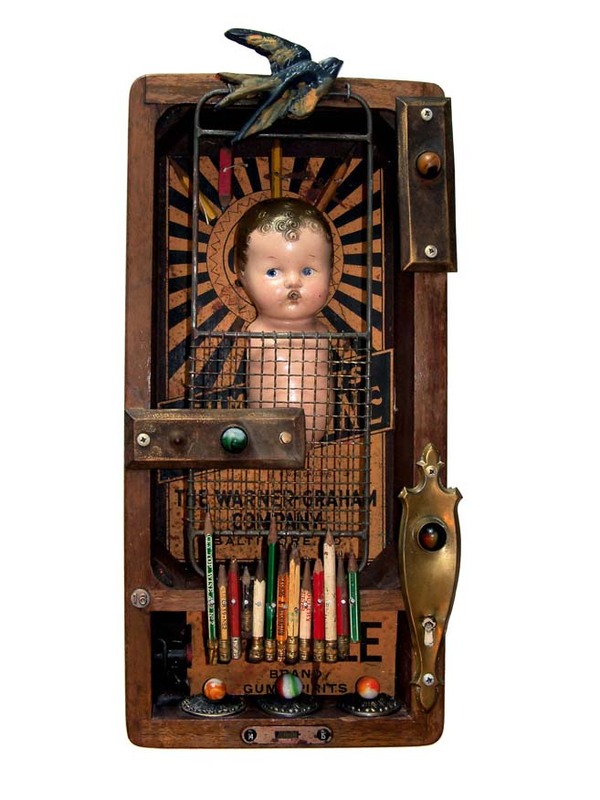 Cabinets of curiosity were very popular during the Victorian Era and featured natural specimens, artifacts, and oddities. 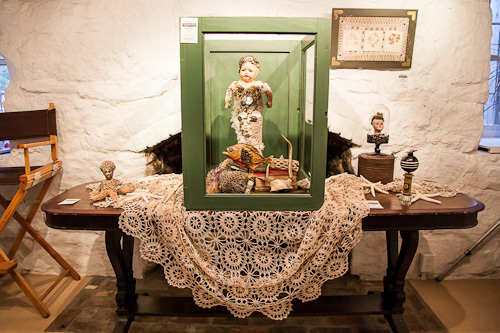 Leslie Brier's "Cabinet of Curiosities" puts a decidedly modern spin on the concept. 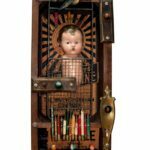 Some pieces evoke a carnival sideshow while others offer a nostalgic re-mix of objects from a bygone era. 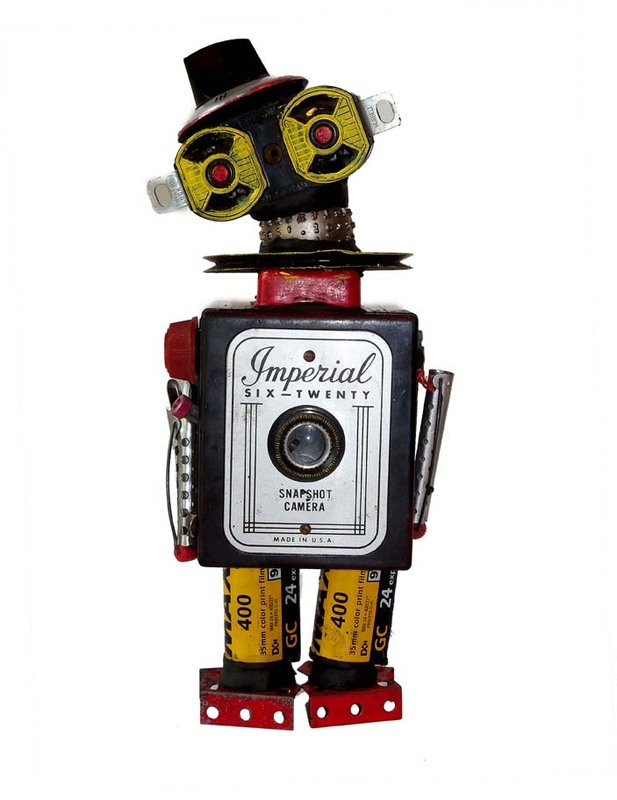 The show will also feature some of her altered art robots, including "Imperial 6-20" made of a vintage box camera, an electrical outlet, stove knobs and film cartridges. 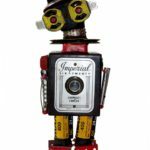 "I love to hunt through thrift stores and salvage yards to find items that have been cast off because they are no longer considered beautiful or useful, and give them a new identity." says Brier. 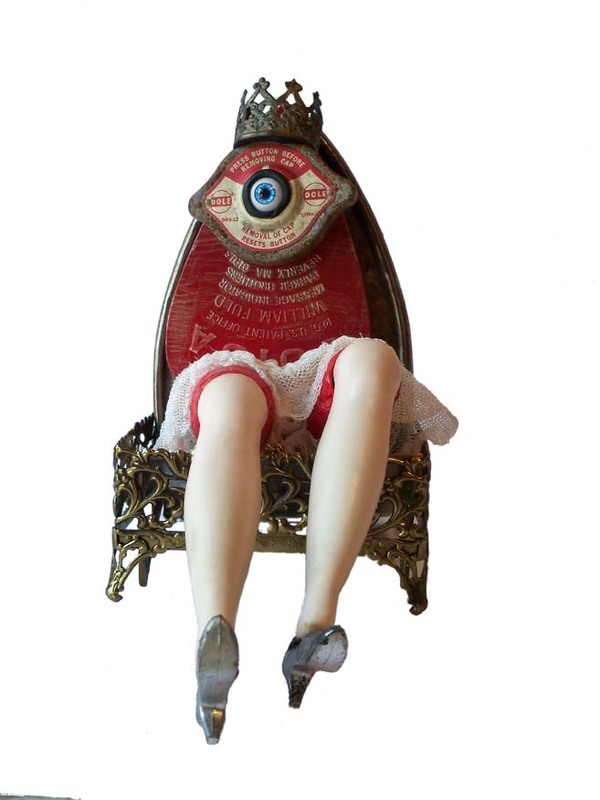 Leslie Brier is a mixed media artist, jewelry designer and freelance graphic designer. She has a degree in fine arts, and exhibits extensively in Virginia. 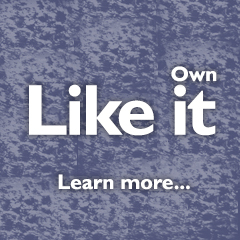 She has had articles published in Cloth Paper Scissors and Amy Powers' Inspired Ideas magazine. She is also a popular instructor, and has taught recently at the Art and Soul Retreat in Virginia Beach Virginia, at the PonShop Studio in Fredericksburg, and the Artistic Artifacts Annex in Alexandria. Visit her blog:www.brierdesignstudio.blogspot.com.